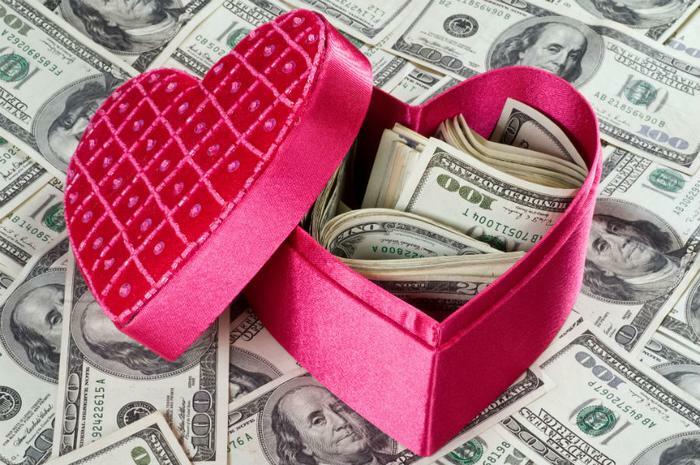 Consumers in the U.S. are projected to spend a near-record amount on gifts this Valentine’s Day, according to a survey conducted by the National Retail Federation (NRF). The average shopper will spend $143.56 on Valentine’s Day gifts like jewelry, flowers, candy, and dinner -- an increase from last year’s $136.57. This year, the total estimating spending haul will hit $19.6 billion, with jewelry purchases accounting for a majority of that figure (an estimated $4.7 billion). Spending on food and entertainment options are projected at $3.7 billion, followed by flowers ($2 billion), clothing ($1.9 billion), and candy ($1.8 billion). More than half of U.S. consumers (55 percent) plan to celebrate Valentine’s Day in some way this year, according to the survey of 7,277. The average person will spend $88.98 on gifts and treats for their significant other, $25.29 on other family members like parents or children, and $4.79 on coworkers. Millennials aged 25-34 are projected to spend more than any other age bracket, dropping an average of $202.76. Millennials are also most likely (41 percent) to give a “gift of experience,” such as tickets to a concert or sporting event compared to 24 percent in other age groups. The NRF estimates that about three in 10 adults (27 percent) don't plan to celebrate Valentine’s Day but still plan on doing some shopping, either on a special gift for themselves or on anti-Valentine’s Day gifts. “Valentine’s Day has become a holiday consumers take advantage of not only to spoil their loved ones but themselves,” Prosper Executive Vice President of Strategy Phil Rist said.